Each year the PVC celebrates the accomplishments of the senior class with a grand banquet attended by families, friends, coaches, staff and many others in the Princeton community. The PVC will host the 20th edition of this banquet, now titled the “Gary Walters ’67 PVC Awards Banquet,” on the evening of Thursday, June 1st to honor the great Class of 2017. The event will once again be held at the base of the picturesque Cleveland Tower at the Graduate College, on the Princeton University campus. 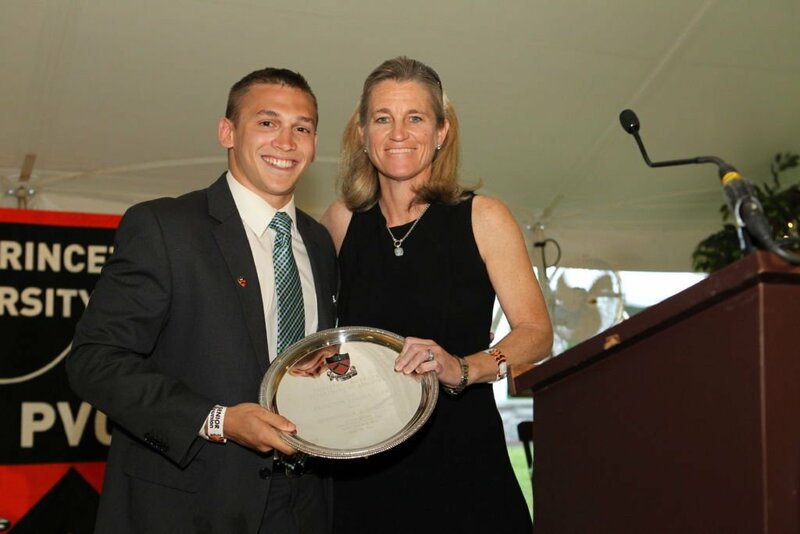 Lifetime Membership & Table Sponsorship – $5,000, includes Lifetime Membership to the Princeton Varsity Club, as well as all of the benefits of the below Banquet Table Sponsorship (i.e., all eight seats, recognition in the event program and your table name prominently displayed on the table). Click here to learn more about PVC Lifetime Memberships and associated member benefits. NOTE: this sponsorship opportunity is available this year only in recognition of the 20th year of the PVC; honorary Lifetime membership requests are accepted. Any questions related to the Gary Walters ’67 PVC Awards Banquet or sponsorship opportunities can be directed to pvc@princeton.edu. Sponsorships are tax-deductible to the extent allowed by law. PARKING INFORMATION: limited parking is available in Lot 19 by the Graduate College, accessible off Springdale Road. Shuttle services will be provided from Lot 21/Jadwin Gym before and after the banquet (A-1 Limousine, pick-up at the Tiger Transit bus stop in Lot 21 starting at 4:20pm). 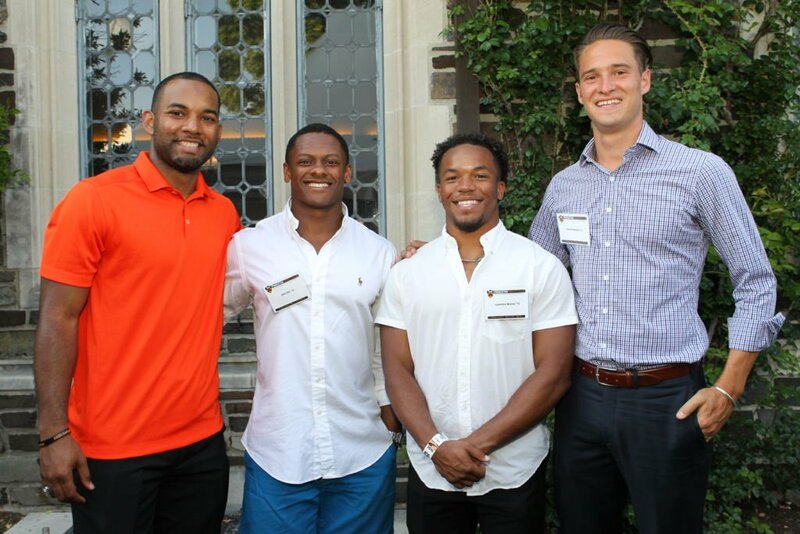 The Gary Walters ’67 PVC Awards Banquet is the year-end, capstone event of the Princeton Varsity Club and celebrates the accomplishments of individual members of the Princeton Athletics community, including senior student-athletes, alumni, friends and staff, as well as the Class of 2017 as a whole.